Calligraphy is a visual art related to writing. 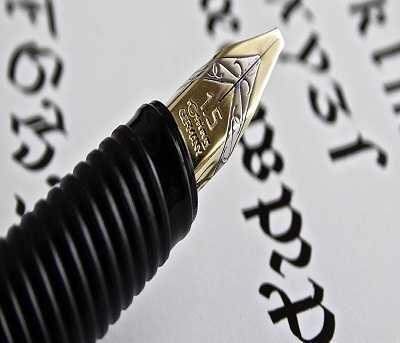 It is the design and execution of lettering with a broad tip instrument, brush, among other writing instruments. A contemporary calligraphic practice can be defined as, "the art of giving form to signs in an expressive, harmonious, and skillful manner".